The United Arab Emirates (UAE) is a federal nation comprising seven emirates – Abu Dhabi, Dubai, Ras Al Khaimah, Sharjah, Ajman, Fujairah, and Umm Al Quwain. The distinct diversity across the UAE makes each of the seven emirates a destination on its own. A land of contrasting landscapes – from awe-inspiring dunes to rich oases, precipitous rocky mountains to fertile plains – the UAE also boasts of an impressive skyline that features a breathtaking mix of traditional and cutting-edge architectural wonders. Having transformed itself into one of the most progressive, innovative, sophisticated and exciting places to visit, the country has become a highly sought-after destination by business and leisure travelers worldwide. that are highly ranked as among the finest in the world in terms of capacity, security and amenities. very little rain, every journey to the UAE simply becomes a unique and unforgettable discovery of Arabia. 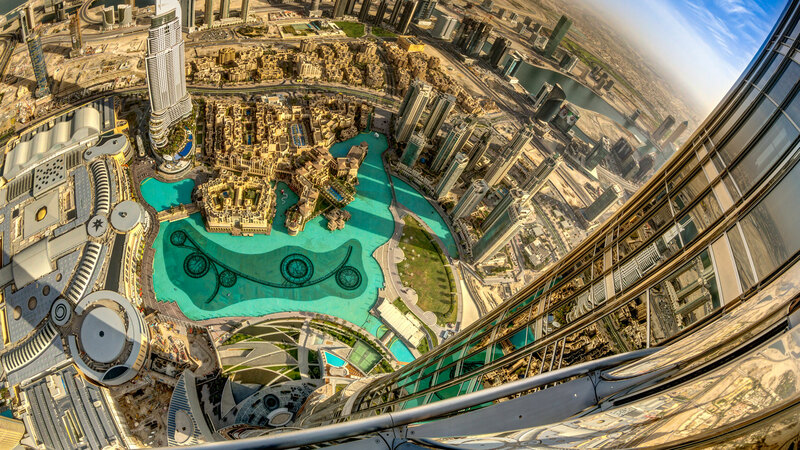 Located on Level 124 of the world’s tallest tower, At The Top, Burj Khalifa gives you a captivating panorama of Dubai, a view you wouldn’t find anywhere else in the city. Enjoy an uninterrupted bird’s eye view of various parts of the city, from the famous Sheikh Zayed Road and its rows of skyscrapers, the charming old structures up to the glistening coastal waters. The golden sunset is the most magical hour of any day. What more when you can watch the sun descend below the horizon from a view so high up in the sky? At The Top’s observation deck is the perfect spot to view this sunset spectacle. As you hop on the lift that will take you to the observatory, you will be treated to a multimedia presentation that showcases Dubai’s history and the record-breaking story of the Burj Khalifa. Being an essential highlight of every traveller’s UAE itinerary, At The Top tickets sell out fast. Be sure to secure your slot as soon as you can. 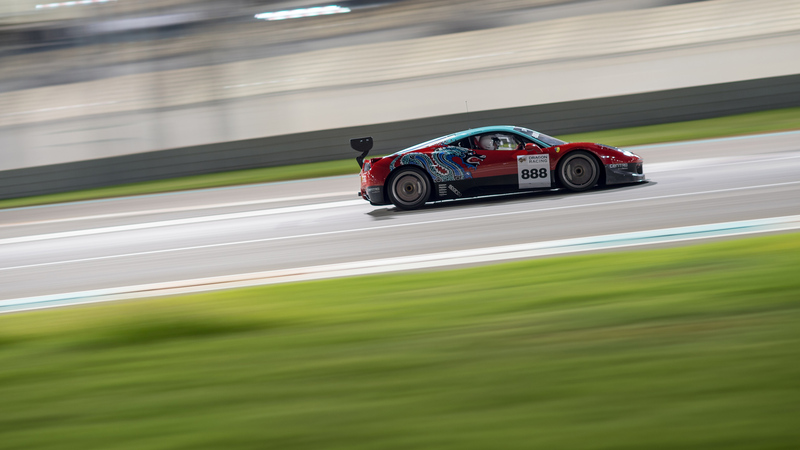 The legendary Ferrari 458 GT is now at the iconic Yas Marina Circuit—and it is ready to make every motorsport fan’s dream come true. Feel every bit of power bursting from its 570-horsepower, 4.5-litre V8 engine and enjoy the ride of your wildest dreams. It’s one adventure to bash the dunes buckled up in the passenger seat—but it’s quite another when you’re the one behind the wheel driving up and down the desert slopes and drifting through the sand! Keep in mind that desert driving is nothing like your regular commute and safety precautions are best learned from the experts who have been doing it for years. Aside from getting to know the mechanics of a 4X4 vehicle, you will also be introduced to the topography of the desert and the situations you are likely to find yourself in once you’re out there. Listen carefully and take note of all the survival tips because you are in for some actual desert driving drills! Earn your certificate after the high-octane adventure and enjoy the rest of the desert with a delicious lunch. Days of operation: Upon Request / Duration: 5 hour interactive desert driving class / Remarks: Guests must hold a valid license. Delegates/observer must be 140 cm in height (minimum for adult seat belts). Immerse yourself in local art and culture by taking on this Arabic calligraphy class set in a charming Emirati home where you will be treated not as a student, but as a guest. 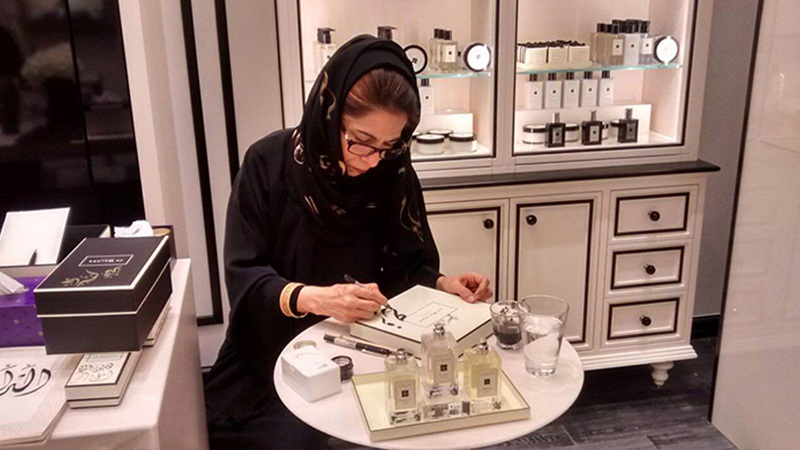 A respected Emirati artist will teach you how the signature Arabic strokes are done, what they mean and how those points and curves can be incorporated into a painting. Learn history along the way as you experience what it’s like to be in a local’s home, with traditional coffee, tea and home-cooked food served with the warmest smiles. Wrapping up a delightful day, your art guru would lead you across the street where you can savor the golden hour and take photos of the setting sun. Days of operation: Upon Request / Duration: 1.5 hours / Remarks: Subject to weather conditions. 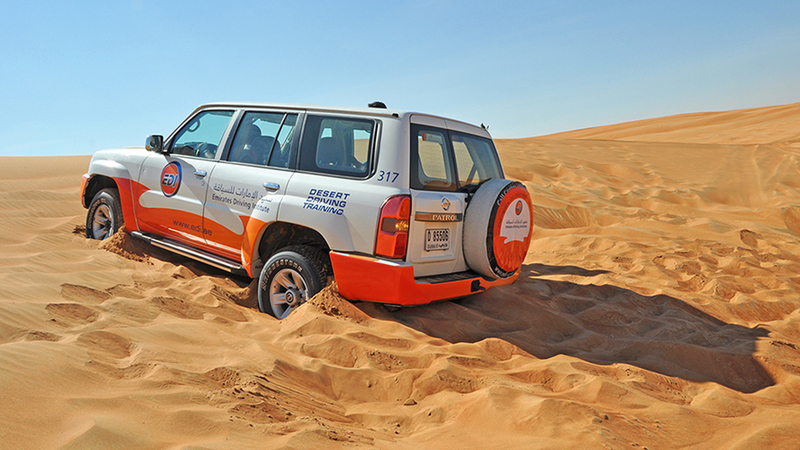 We’re taking the thrills of a desert safari to the sea! 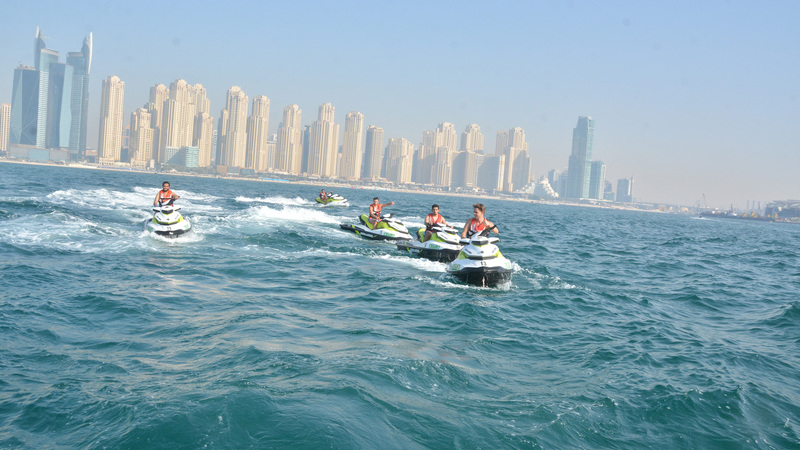 Amp up your tour of the city and jet-ski your way across Dubai’s landmarks. A professional instructor will walk you through the basics of jet-skiing and guide you throughout the tour. Enjoy the ride from the coast of Jumeirah Beach Residences, around the iconic Atlantis the Palm, all the way to the Burj Al Arab. Get your waterproof cameras ready, as there will be photo stops during the tour. Safety gears, such as helmets and life jackets, will be provided.